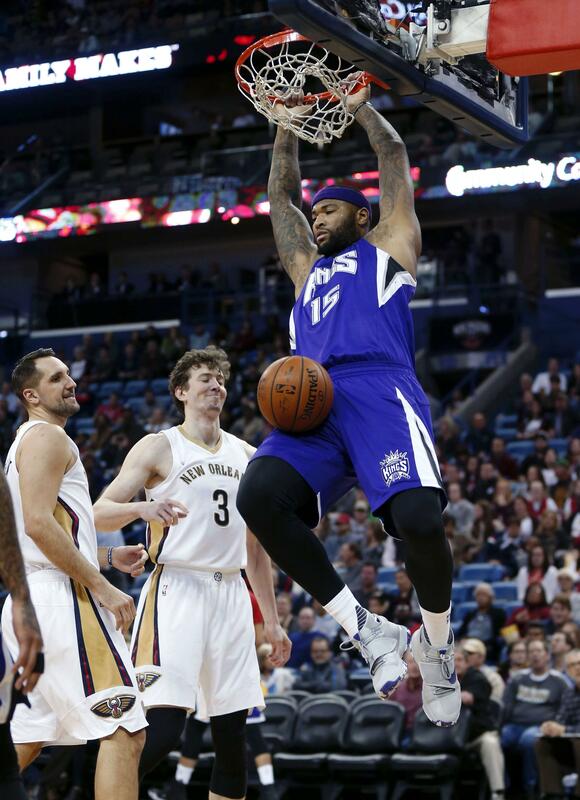 SACRAMENTO, Calif. – The Sacramento Kings canceled a Lunar New Year promotional giveaway after DeMarcus Cousins complained it was insensitive on the first day of Black History Month. The Kings were set to give away T-shirts commemorating the Chinese Year of the Monkey, which starts on Feb. 8, at the team’s game against the Milwaukee Bucks on Monday night. The shirts sported the image of a purple monkey. But according to a Facebook post, Bucks analyst and former player Marques Johnson said Cousins was discussing the matter with Kings employees before fans arrived for the game. Johnson agreed that the T-shirts could be construed as offensive. The T-shirts were removed from the seats and Kings president Chris Granger told the Sacramento Bee that the team did not want to offend anyone and acted as soon as Cousins voiced his concern. Published: Feb. 2, 2016, 6:48 p.m.